When I say “Kingston, Ontario” what comes to mind? I’m guessing: Queen’s University, the military, and maybe sailing. Most people probably don’t realise that Kingston is a city older than Canada itself. It’s true, though Kingston is replete with modern dining, a hopping music scene and the latest trends (thanks population of millennials!) this limestone city has surprisingly deep roots. Way back in 1673 a French trading post and a military fort were established in what is now Kingston, making the city older than the country it calls home. Now, full disclosure: I was a classics major. I like old things. Growing up in Toronto, I went to the ROM more times than I can count (the bird room is the best), and once spent a day alone in the freezing cold climbing fortifications and looking for cannons. 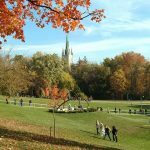 But not everyone wants to spend their time at a museum or reading plaques, so I’ve put together a list of things to do in Kingston to experience the city’s history without having to hit the books. The easiest way to experience Kingston’s past is to take a walk around the city. Several historic buildings in the downtown core have been repurposed as B&Bs, a business school, an art gallery, and even a rock climbing gym. As you might guess from the name, the Boiler Room Climbing Gym’s building was originally a… boiler room (!) of the Woolen Mill, built in 1882. 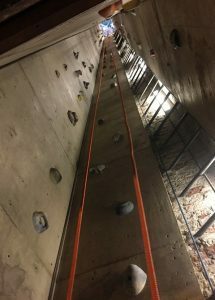 The mill is long gone, but the 100-foot chimney remains—and has been repurposed as the highest indoor climb in Canada. This gym is more than just the chimney; it has a mix of route climbing (with a harness) and bouldering (without). The friendly staff will get you sorted out with shoe and harness rentals and “show you the ropes” (pun intended). 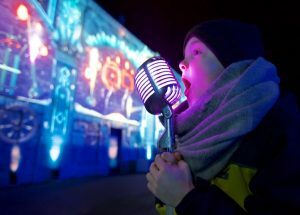 For those who prefer to keep their feet on the ground, Lumina Borealis at Fort Henry is the perfect old-meets-new experience. 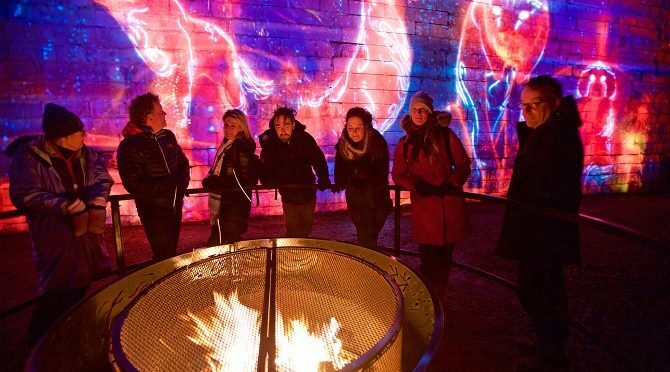 The wizards at Montreal’s Moment Factory have created a magical winter kingdom around the perimeter of the War of 1812 fort, with a new interactive installation around every turn. 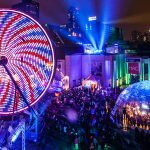 Gawk at the giant, glowing ice crystals, wander through an illuminated evergreen forest, and throw snowballs until it (fake) snows. Hurry though, Lumina Boralis only runs until February 4! But don’t worry if you miss it, the show will be back next year! 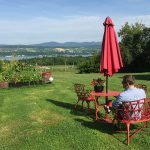 Kingston has the most restaurants per capita of any Canadian city, and Bayview Farm in Collins Bay, a 20 minute cab ride from downtown, is one of the best. The restaurant itself is pretty new, but the property has been in Clark Day’s family since 1831. Now the family homestead is an intimate restaurant (it seats just 20) that feels like you’re been invited over for dinner—by one of the most outstanding cooks you know. 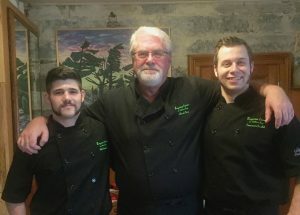 The three-man team of Clark Day, François Drolet, and Will Arnaud all share the cooking and front-of-house duties, and their appreciation for quality ingredients means you’re in for an amazing meal. Their fillet minion is the best you will ever have (my boyfriend’s words), and the spaghettini with mushrooms, asparagus, and tomatoes is fresh and flavourful. 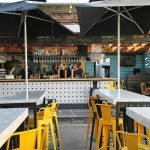 If you are looking to eat downtown in a building with a bit of history, head to the Kingston Brewing Company. It’s Ontario’s oldest brew pub and is housed in a former telegraph office. This cozy spot is completely covered in beer paraphernalia and random weird and wonderful decorations (there’s a giant papier mâché polar bear hanging over the door.) They have six of their own beers on tap, plus two ciders. 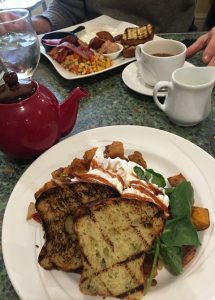 If your beer sampling turns into a wild night out, stop by local favourite Pan Chancho in the morning for baked goods and sandwiches to go, or dine in for brunch that’s not your standard bacon and eggs. I can’t finish this blog post without including a mini history lesson (it’s just what I do), but I promise to keep it short and fun. Kingston was the site of many Canadian firsts: the first capital of the Province of Canada, home to the first Prime Minster, and the location of the first hockey hall of fame. Wait, what? I bet you thought it was in Toronto, right? To be fair, you’re kind of right. Captain James T. Sutherland (more info here) started the hockey hall of fame in Kingston, which he claimed to be the birthplace of hockey (though as a McGill grad I have to disagree). Though the first hockey hall of fame members were inducted in 1943, the construction was delayed endlessly, until the NHL finally decided to withdraw their support and relocate to Toronto. Kingston’s International Hockey Hall of Fame was eventually completed and can now be found on the second floor of the INVISTA arena. 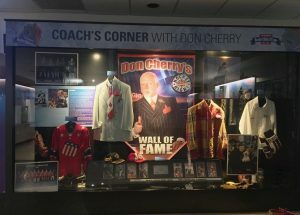 Its collection of hockey memorabilia includes the oldest hockey puck (a squared-off lacrosse ball), Canada’s first Olympic gold medal for hockey, and yes, an exhibit dedicated to hometown-hero Don Cherry that includes some of his infamous jackets—they’re just festive as you remember! 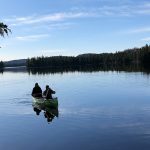 Yes history is alive and well in Kingston, and it can lead you to a delicious meal, and magical adventure or a hidden gem that you would have never found otherwise. Who said history was boring? What are your favourite things to do in Kingston? 1 Comment on "Old Meets New: Things to Do in Kingston"
Things to do in Kingston? ?